Your ability to communicate effectively and convincingly as a writer is a determining factor in the level of success you’ll enjoy at the collegiate level and beyond. Keep in mind that writing is not an activity limited to the classroom; rather, many employers are actively looking for workers with strong communication skills. Regardless of your reason for putting pen to paper or tapping a keyboard — whether it’s a research paper, book report, essay, exploratory paper, or other assignment — the way you express yourself through any of these four writing styles will be an opportunity for you to showcase your personality and talents. Throughout your time in college, you’ll be asked to express yourself in writing in some form or another. 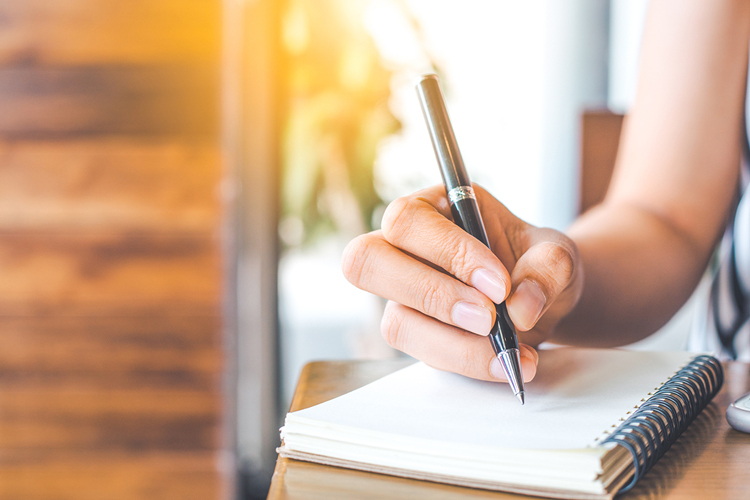 While the way you naturally write reflects your unique voice, each college writing assignment will come with its own objective and audience that will determine which of the four writing styles you’ll need to utilize. Expository: a fact-based writing style absent of opinion and more akin to journalism. Descriptive: a format rich in detail and description. Persuasive: a style employed to convince the reader of the viability of your opinions and viewpoints. Narrative: a style devoted to telling a story, complete with characters and dialogue. Which Writing Style Is Right for You? What Are the Characteristics of Narrative Writing? Whether the targeted audience is your teacher, a room full of your peers, or an online reader, your goal should be to keep your audience reading until the very end. To do that, you can strengthen the voice of your writing style with a host of techniques to keep your reader engaged. Whether it’s alliteration, hyperbole, symbolism, foreshadowing, metaphors, personification, similes, or another technique, make full use of the numerous literary and narrative methods available to you. Include aspects of your personal thoughts and experiences. Keep your focus narrow by not covering too many topics. Avoid formal or stodgy language, and instead rely on your own voice. As you proofread your writing efforts, do not rely on your computer’s spell-checker. Also, be on the lookout for common writing pitfalls, such as switching between active and passive voice, and using incorrect punctuation. Writing that’s worth reading rarely “just happens.” In fact, one of the most frustrating parts of writing at any level is to merely sit and wait on a mythical muse or other form of inspiration to jump-start the process. The key is to simply write. effective writers will make use of certain tools to guide them throughout the writing process to keep them on track and keep the reader engaged. Outline the points you want to get across to the reader by listing the main ideas, and include a summary sentence for each point. Write numerous drafts to hone and fine-tune your points. Make your introduction vivid so that it effectively sets the tone and grabs the reader’s attention. Summarize the main points in the ending so that the reader has something to consider when finished. By default, print was the long-held medium for writers and readers alike. With the explosion of the digital age, however, today’s writer has myriad mediums — and audiences — for which to write. The key is to know your audience and its likes, and to tailor your writing style to your audience. For example, the expectations of an online reader are far different from those of someone accustomed to reading print publications. Online writing should be easy to scan, since research confirms that reading on digital devices leads to increased eyestrain. Bullet lists and one or two-sentence paragraphs are ideal for online formats. Print reading is confirmed by some studies to be better for retention and focus than reading on electronic devices. It’s also easier to go more in-depth with your descriptions in print format. It’s common for college students — especially freshmen — to struggle with their writing as they transition from high school to college. The reasons for this struggle are numerous, including the various writing styles and the difference between college professors’ expectations and high school teachers’ expectations. Research, however, confirms that students who master the art of writing for multiple audiences at the beginning of their college experience graduate as the strongest writers. That same research also shows that a student’s writing is likely to improve substantially when he or she makes continual revisions and edits to the work. There are additional ways in which writing as a college student is different. It’s the single most important means of evaluation from your instructor. The types of assignment will likely be far different than what you’ve encountered previously. For example, your college writing assignments will likely require far more detail and content, as well as evidence to support your thoughts. It’s vital that you become proficient in all four of the recognized writing styles as you prepare to move from college toward your career. Research confirms that 73.4 percent of employers are actively seeking candidates with strong written communication skills. Regardless of your major, you can be sure that virtually any professional career will require some form of writing. Effective writing separates yourself from the competition of your peers. Writing is the primary basis upon which your work, your learning, and your intellect will be evaluated, and expresses who you are as a person. Writing your ideas gives you the tools to evaluate the strength of your argument. Writing helps you to understand how truth is established. Writing equips you with the communication and thinking skills you need to participate effectively in society as a whole.